In his new book, Fr Terence J. Kelly SJ explores the relationship between science and religious faith, by discussing people with a scientific bent who took religious faith seriously, writes Fr Andrew Hamilton SJ. Fr Terry Kelly has spent most of his Jesuit life teaching both science and religion in Jesuit secondary schools. He is particularly interested in the connection between them. In a culture where they are usually seen as opposed, and where for most young people science trumps religious faith, teasing out their affinities and their distinctive claims is a challenging task. 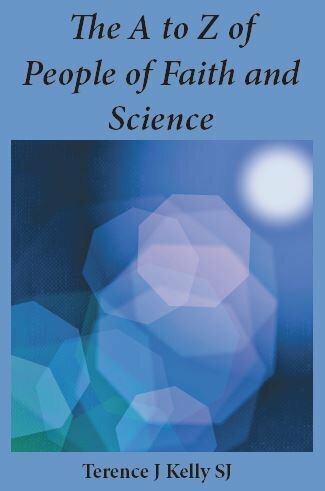 In this gem of a book, a wonderful resource for teachers and a new world to readers like myself for whom science is an unexplored mystery, Kelly explores the relationship between science and religious faith. He does so by discussing people with a scientific bent who took religious faith seriously. He offers short, engaging accounts of 92 people from the ancient to the contemporary world, setting their work within the urgent questions of their day. Some were inspired by their faith to explore scientific questions; others were led by their scientific discoveries to test their faith. A few, like Galileo, suffered because of the conflict seen between faith and science. Kelly’s book is clearly a labour of love, introducing fairly well-known figures such as Augustine, Mendel and Teilhard de Chardin, others of whom we may have heard such Cassiodorus, Cassendi and Bolzano, and others of whom few would have heard such as Steno, Zucchio and Telesio. Many of the people whom he has chosen are Jesuits, most of whom taught at Jesuit universities from the 16th to 18th centuries. Their most frequent areas of specialisation were mathematics and astronomy. The most intriguing of them is the polymath Aloysius Kircher, a man with an insatiably curious and practical mind, who among other things engaged in biblical criticism, the study of the human body and of volcanoes. He had himself lowered down the crater of Mt Vesuvius to measure the cone. Kelly places his subjects alphabetically within different periods. This conveys the variety of their interest in faith and their contribution to scientific development. It also places them within the intellectual currents of their time and helps us see why they saw their research as important. This book makes it clear that the popular representation of the conflict between science and religion as one that involved only two competitors is misleading. It involved three parties: science, religion and the established authorities in both science and religion. As scientific evidence, in astronomy for example, was gathered by more accurate observation with more sophisticated instruments, new theories to account for the evidence were formed. They were then measured against both the religious authority of the accounts of creation in the Scriptures and the philosophical and scientific authority of Aristotle. His account of non-material heavenly bodies orbiting predictably around the earth was part of conventional wisdom. Initially they sought theories that would harmonise the authorities of empirical evidence, scripture and of Aristotelian science. But as the evidence mounted, it supported an understanding in which the earth and other planets revolved around the sun in elliptical orbits, and that all were made of the same elements as the earth. This recognition in turn prompted new reflection on the nature of Scripture and its authority. The human stories in The A to Z of People of Faith and Science suggest that people, both scientists and people of faith, have always tried to make sense of the world in which they live, asking questions both about how it is arranged and about why it exists. They have differed among themselves, disregarded one another, and have eventually come to some agreement. The conflicts have become acute when people have believed that a large philosophical or religious view can decide how the physical world works, or that establishing how the world works dispenses with asking questions about why it exists. Both kinds of question are worth asking and deserve serious attention.